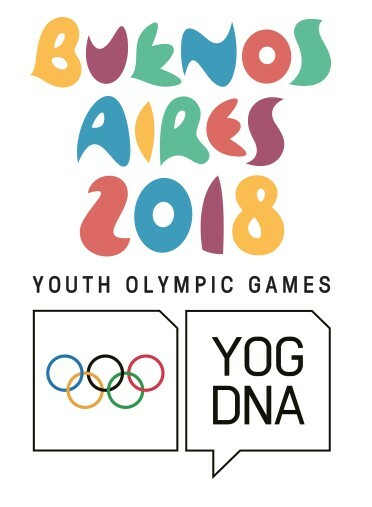 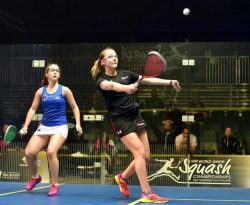 With the Individual Champions crowned, it was on to the Women’s Team event, with the first of two days of Pool matches which would determine the quarter-finalists, both days featuring three sessions of three matches, one at Queen Elizabeth Youth Centre and two at the Devoy Squash and Fitness Centre. 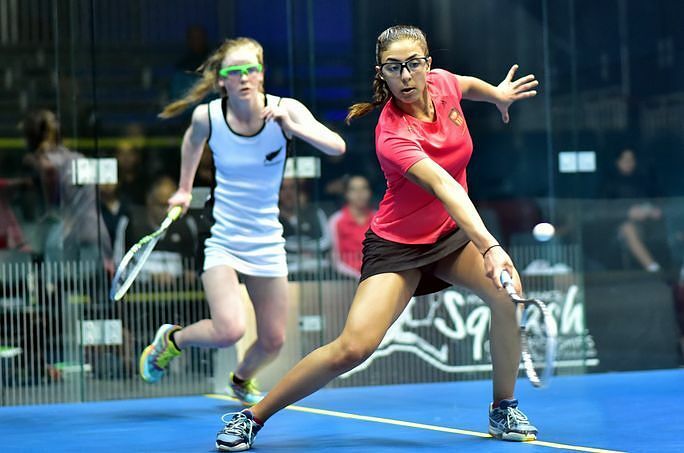 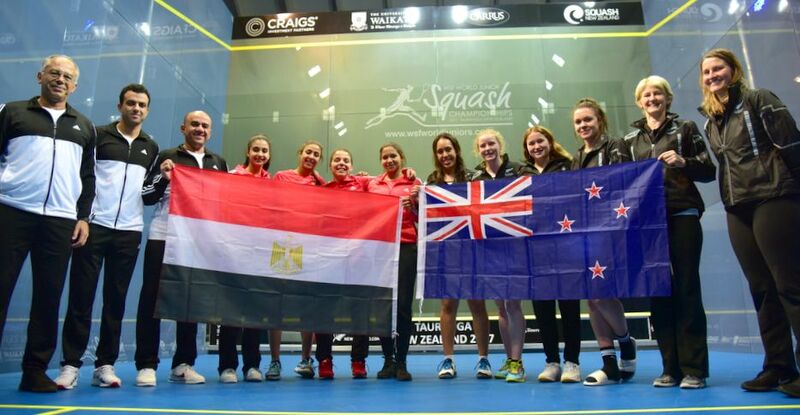 Top seeds and defending champions Egypt wrapped up three-team Pool A with 3-0 wins over first Australia and then hosts New Zealand, leaving the antipodean rivals to battle it out tomorrow for a quarter-final place. 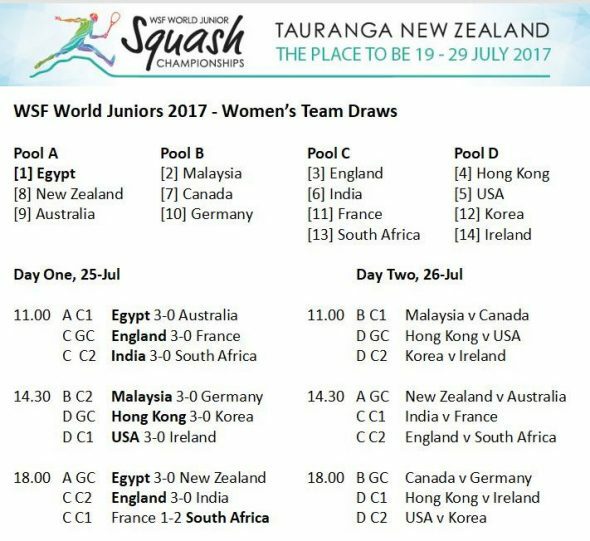 Second seeds Malaysia beat Germany 3-0, and a win against Canada tomorrow would clinch top spot in Pool B, which also contains just three teams. 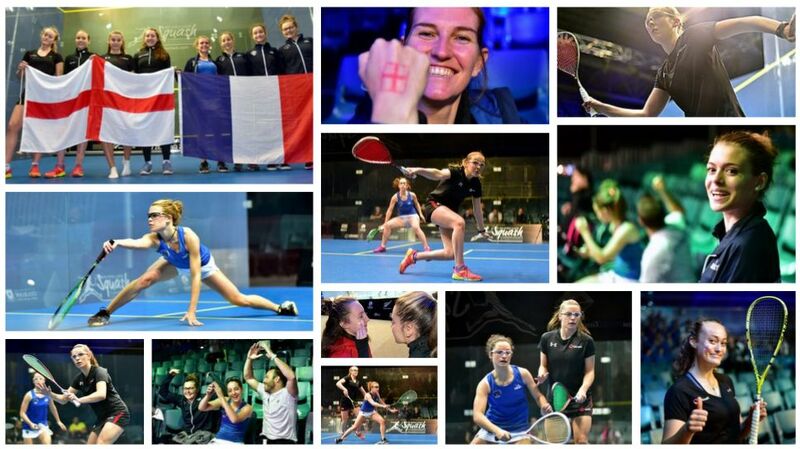 Hong Kong and USA recorded opening wins, 3-0 over Korea and Ireland, and they meet each other tomorrow morning in a match which should decide the top positions in Pool D.
In Pool C favourites Egypt and India opened up with 3-0 wins over France and South Africa, and met in the evening to settle the finishing order with England emerging 3-0 winners to all but secure a favourable quarter-final draw. South Africa, seeded 13, produced the only seeding upset of the day as they beat 11th seeds France 2-1.